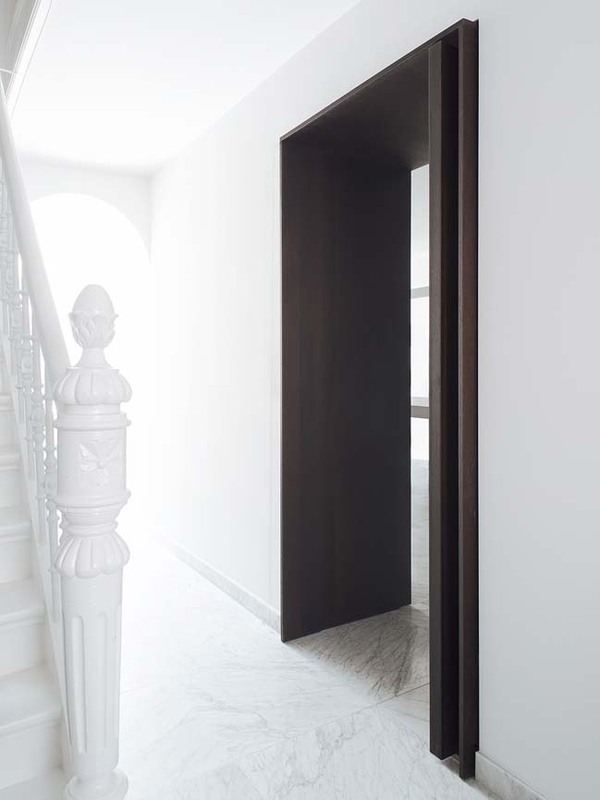 This 4-storey townhouse is a gorgeous renovation with neoclassical idea by Amsterdam-based Serge Schoemaker Architects. Project's description: The townhouses around Wilhelminapark in Utrecht were built in the early 20th century to offer well-to-do citizenry an alternative to the bustle of the city centre. Our clients’ spacious neoclassical house dates from 1900 and is set in a terrace of houses at the western side of the park. 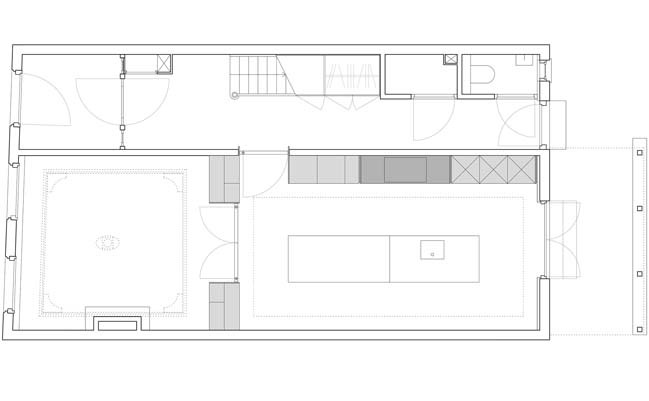 The townhouse has four floors, with a living room occupying the entire first floor. Originally a reception space, the ‘period room’ on the street side of the ground floor features an ornamental ceiling and marble mantelpiece. The remaining spaces on this floor, previously used by servants, were relatively small prior to renovation. 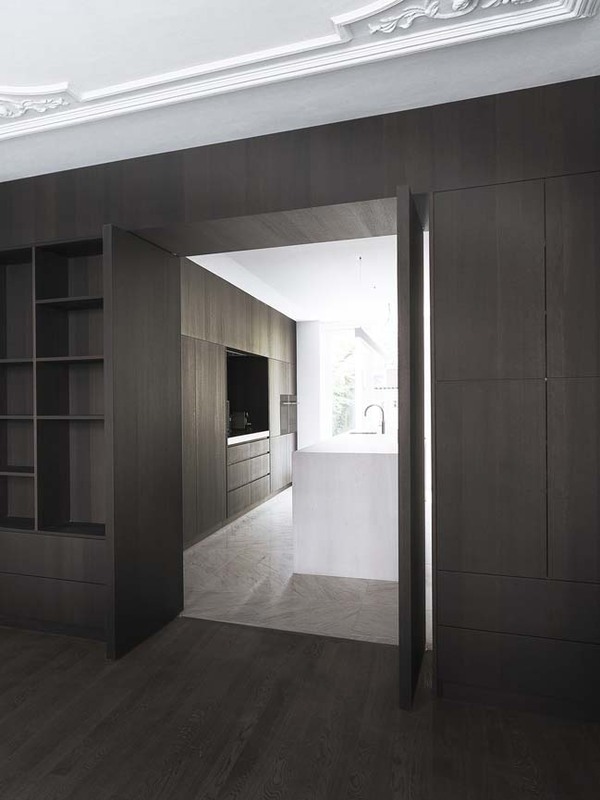 In renovating this townhouse, we decided to redefine the ground-floor kitchen as a luxury open kitchen, which opens directly to both the garden at the back and the period room at the front. A few simple architectural alterations enlarged and brightened this space, which is now more in proportion to the rest of the house. 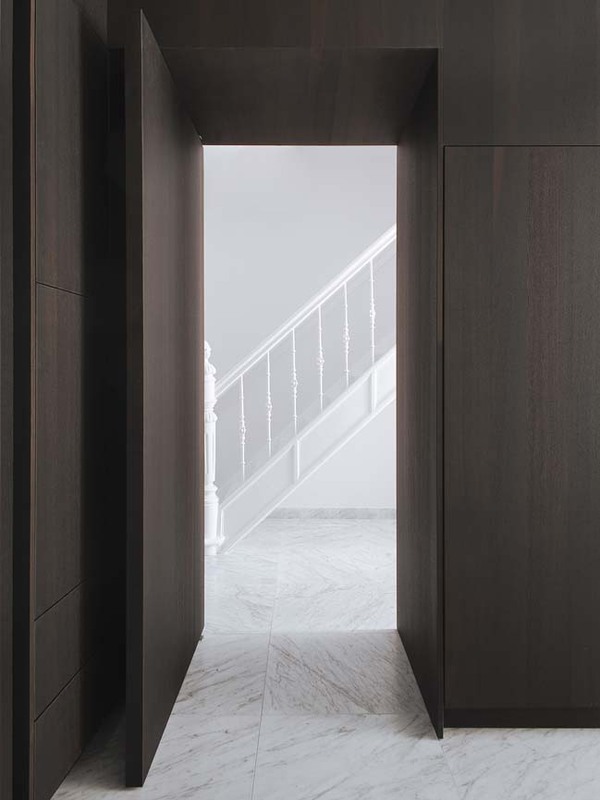 With a combination of clean, modern lines and richly contrasting classical materials, we transformed the ground floor of this townhouse into an elegant living space. Authentic details blend with high-quality interior design to create spaces full of character. 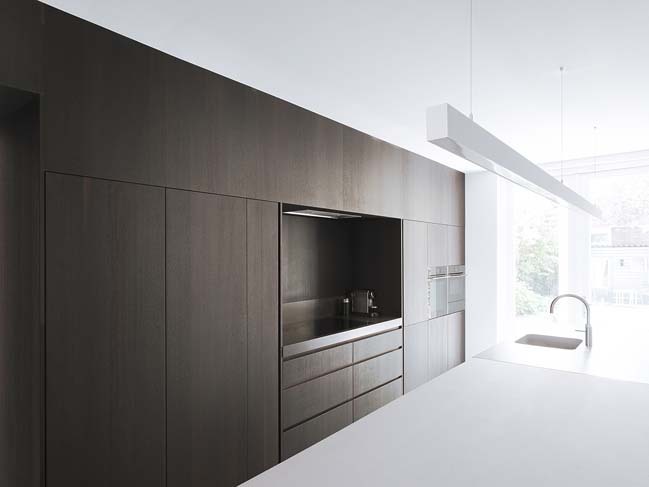 A striking new pivoting door leads visitors directly from the hall into the open kitchen. 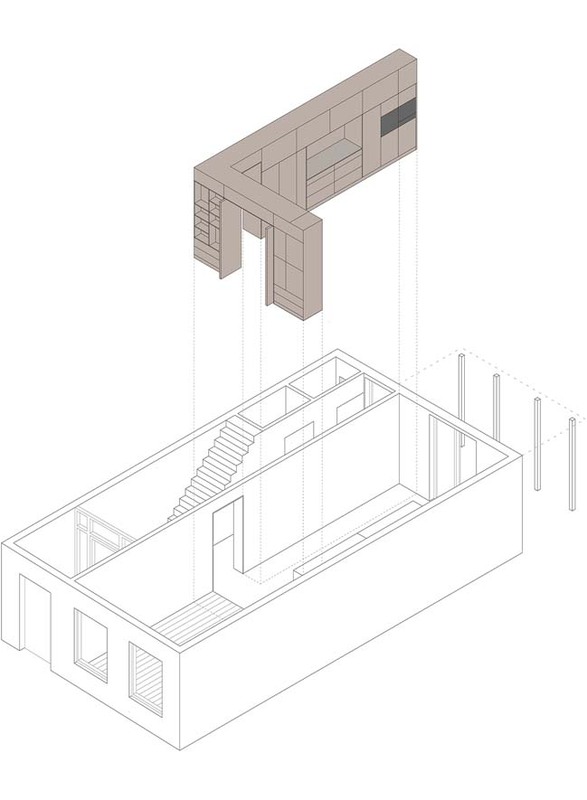 The wall between the kitchen and period room has been replaced by large built-in storage units with double doors, allowing the open kitchen and front room to function as two interconnected spaces. The authentic details and ornaments in the house have been painted white, while the new floor in the hall and open kitchen is finished in polished white marble. 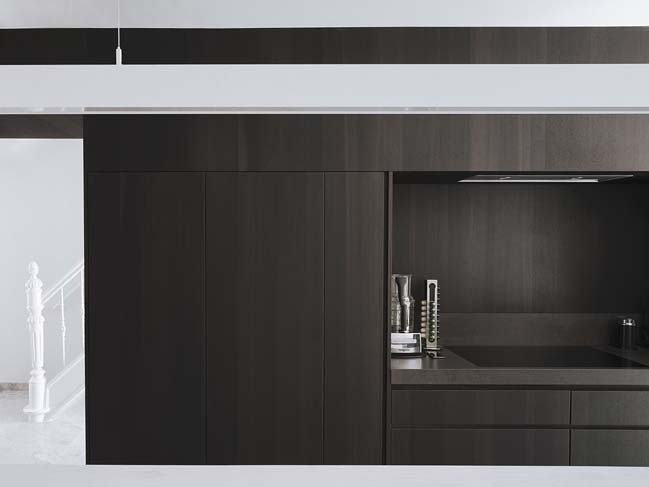 Interior fittings with a dark finish of smoked oak veneer create a sense of contrast, warmth and intimacy.